South East Coast Ambulance Service NHS Foundation Trust (SECAmb) has thanked its staff and volunteers for their professionalism and hard work during what was, as expected, a busy Christmas and New Year. The Trust has also thanked the public for the many messages of support and appreciation it has received in recent weeks. In the three hours after midnight on New Year’s Eve, SECAmb handled an average of 200 calls an hour. In the 12-hour period between 5pm on 31 December and 5am on 1 January, ambulance crews responded to 1,100 incidents. And the Trust’s NHS 111 service was also in high demand as staff across the region handled more than 2,500 calls throughout 31 December. The night’s activity followed a number of days of increased demand during which staff and volunteers worked hard to respond to patients as quickly as possible. 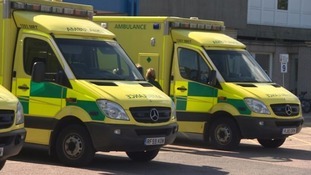 SECAmb is expecting demand to remain high in the coming weeks and throughout the winter. People are urged to only dial 999 in the event of a life-threatening or serious emergency and to make use of a variety of alternatives to calling 999, including NHS 111, when it’s less serious. For further information on how to protect yourself and others this winter please click here. I’m extremely proud of everyone’s efforts last night and throughout the whole festive period. I would like to thank every member of staff and also our volunteers including our community first responders and chaplains for their commitment and professionalism at this busy time of year. It is always very humbling to see how everyone rises to the challenge when we face prolonged periods of pressure. "I would also like to thank the families and loved ones of all our staff, as supporting someone working in the ambulance service is not easy, especially at this time of year. Finally, I would like to thank the public for the countless messages of support we have received in recent weeks and throughout the year. I wish everyone a happy and safe 2019."